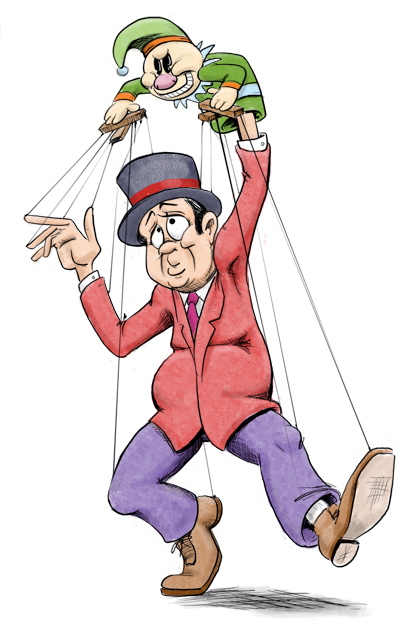 Who does what his puppet demands. Great illustration! Eeek, that is actually very scary - evil clown that pulls all your strings. Nooooo. First time to visit your site and your work. Love the added limericks they give me a smirk. I pump up my fist, for your illustrations have a very nice twist. Plan on visiting again cause they give me a perk.